STARK Survival was selected as a team trainer for Space X and the Phenom project! 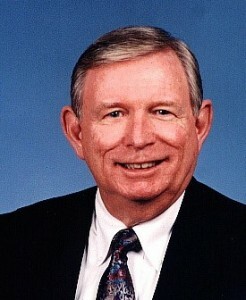 Kenneth Burton – President and Owner of S.T.A.R.K. Survival Company, Inc. of Panama City, Florida. Background: 50 years experience, including 21 years of service as a certified Air Force instructor in Aviation Physiology, Hypobaric Therapy, Underwater Egress, Universal Survival and Water Survival Training. He is a graduate with honors from the Air Force Academic Instructor Academy. While in service he attended several military survival schools conducted by the Air Force, Army and Navy. He is a graduate of the Army Jungle and Warfare School. He was the lead Water Survival instructor for the NASA B-57F High Altitude project. After retirement he returned to college where he received undergraduate degrees in Political Science and Economics. He returned to the University of West Florida and obtained his masters degree in History. After teaching at college for two years he started S.T.A.R.K. Survival Company, Inc and currently conducts in-house training programs for Part 91, 135, 125 121 and IS-BAO Emergency Procedures to include Ditching Procedures, Aircraft Evacuation, Passenger Preparation, On-Board Fire Control, Use of Fire Extinguishers, Cockpit Fire and Smoke Management Security, Hazmat and Aviation Physiology. We conduct the only civilian Open Water Training Program that includes night operations. S.T.A.R.K. also provides Underwater Egress with Dunker and HEED Training. Our company has been a member of the NBAA for over 30 years and has given several presentations to the International Operators Conference, Flight Attendant Association, Flight Safety Foundation EBACE and the Bombardier Safety Stand Down. Our clients include Agencies of the US Government, Corporate and Business Aviation plus Commercial Aviation.